Industry leader John Messara has been chosen to receive the 2019 Longines and IFHA International Award of Merit, which recognizes distinguished horsemen and horsewomen for lifelong contributions to Thoroughbred racing. He will be honored during a ceremony Thursday, 11 April, in advance of the Longines Queen Elizabeth Stakes (G1) that Saturday in Sydney. Representatives from both Longines and the International Federation of Horseracing Authorities (IFHA) will be in Australia to celebrate Messara's achievements. As the Official Partner and Official Watch of the IFHA, Swiss watchmaker Longines and the IFHA conjointly created the Award of Merit in 2013 in order to honor public figures for their outstanding contribution to the world of horse racing. 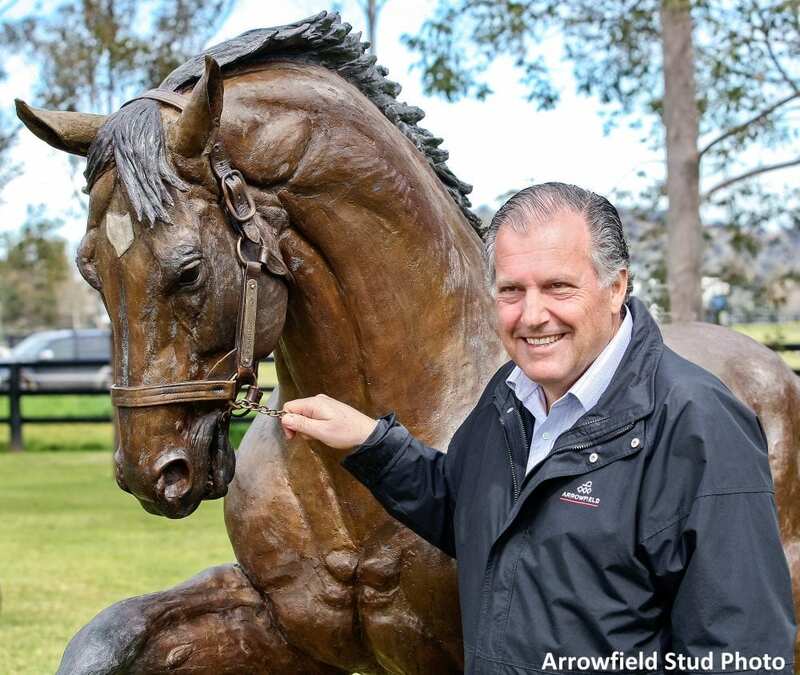 Messara has been a key figure in Australian racing for more than three decades, and he is the owner and chairman of Arrowfield Stud in New South Wales. The highly successful and respected farm, which was founded in 1985, identified, purchased and launched the career of breed-shaping champion sire Danehill in Australia and now stands his champion sire son Redoute's Choice and champion sire grandson Snitzel. Among his many titles, Messara has served as chairman of Racing New South Wales (December 2011- December 2016), inaugural chairman of Racing Australia (January 2014-December 2016), vice-chairman of the Asian Racing Conference (2014-2016), president of Thoroughbred Breeders Australia (2007-2008), and inaugural chairman of Aushorse (2001-2008). Messara is the first Australian to receive the Longines and IFHA International Award of Merit. Previous winners include the Magnier family and trainer Aidan O'Brien, the driving forces behind Coolmore and the Ballydoyle Racing Stable in Ireland; Yutaka Take, legendary Japanese jockey; the Romanet family, long renowned leaders in both the French and international world of horseracing; Jim Bolger, leading Irish trainer, owner and breeder; Alec Head, past champion trainer and patriarch of prominent stud farm Haras du Quesnay; Seth Hancock of historic Claiborne Farm in America; and the late Marcel Zarour Atanacio, former chairman of the South American organization for the promotion of Thoroughbreds (OSAF). This entry was posted in People and tagged arrowfield stud, award of merit, danehill, ifha, international award of merit, international federation of horseracing authorities, John Messara, longines, longines and ifha international aware of merit, redoute's choice, snitzel, thoroughbred by Press Release. Bookmark the permalink.